Etihad Airways announced the airline’s new Airbus A380 service takes flight beginning December 1, 2015 for guests traveling between New York’s John F. Kennedy (JFK) International Airport and the airline’s Abu Dhabi home. 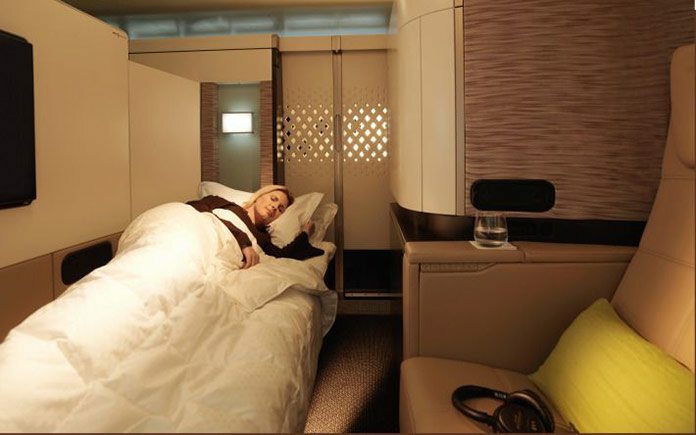 The A380 features The Residence by Etihad, the airline’s ultra-luxurious and private three-room suite in the sky, a first in commercial aviation. “The United States is a strategically important part of Etihad Airways’ growing global network and as a result of increased demand from our guests traveling between New York and Abu Dhabi — and onto the world, we are pleased to upgrade one of our two daily flights to an A380. 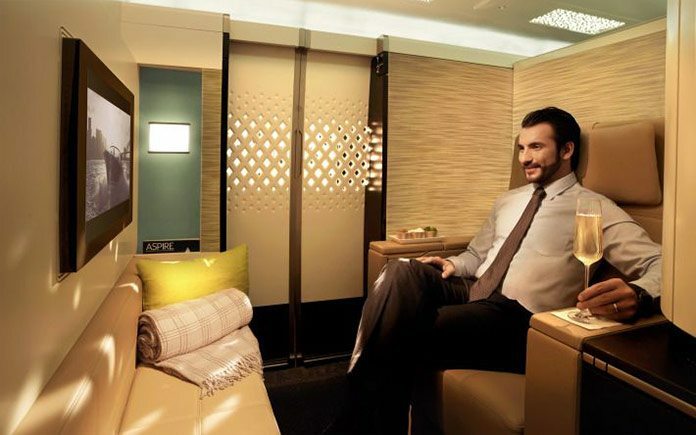 The Residence by Etihad has captured the imagination of the air travel industry since it was unveiled in May 2014. Measuring 125 square feet in area, The Residence by Etihad features a private living room, separate en-suite shower room, bedroom with a double bed, and a dedicated Savoy Academy trained Butler to look after the needs of its discerning guests. The revolutionary cabin features a large 32” LCD monitor in the living room and a 24” version in the bedroom. 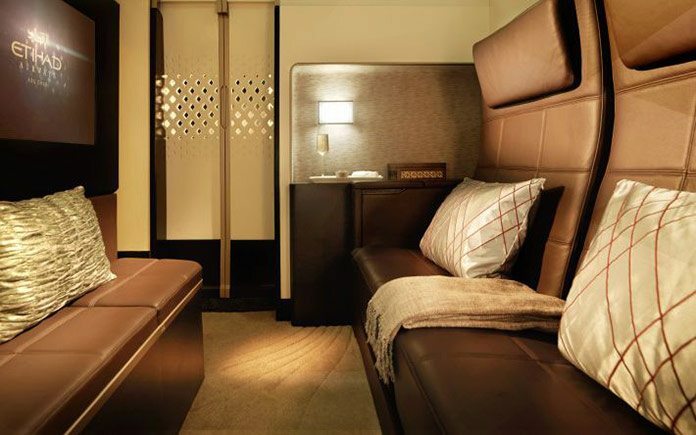 Located on the forward upper deck of the A380, The Residence by Etihad is available for single or double occupancy. The A380 is also the only aircraft in the Etihad Airways fleet to feature nine First Apartments in the industry’s first ever single aisle cabin on a wide body aircraft. Each apartment offers a private living space with a large Poltrona Frau leather lounge chair and an ottoman – the latter which opens up to become a separate 80.5” long fully flat bed. Each First Apartment also offers a 74 per cent increase in space over the airline’s current award-winning First Class suites, a 24” swiveling LCD TV monitor and personal vanity unit. A fully equipped shower room is available for exclusive use by First Class guests. The airline has introduced the latest Panasonic eX3 entertainment system with a new, modern interface onboard the A380, providing more than 750 hours of on-demand entertainment, improved gaming, and high definition touchscreens across all cabins. The system also has video touchscreen handsets in all cabins, offering an additional screen so guests can play games or view the moving map while watching their chosen program. Noise cancelling headsets are provided across all cabins with built-in magnetic audio jacks for superior sound quality. The A380 is equipped with full mobile and Wi-Fi service, and USB and power points at every seat in every cabin, as well as seven channels of Live TV.